Automatic fire sprinkler systems are proven to be the most effective form of fire protection. Fire sprinklers such as dry pipe and wet pipe systems have an excellent record of reliability and effectiveness in the controlling, or limiting the spread, of fire. Sprinklers will, in many situations, extinguish fires, avoiding the need for firefighters to risk entering the fire area. each sprinkler is independent and can only be activated by radiated heat. in most circumstances a sprinkler only uses 1/100th of the quantity of water that a fire service hose would discharge. 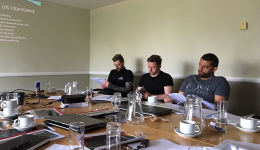 Vipond’s fully trained design and installation teams ensure that our systems are fully compliant with the relevant British Standard, BS EN 12845 – LPC Rules for Automatic Sprinkler Installations 2009. 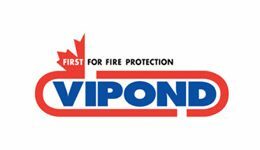 Vipond are an LPS 1048-5 level 4 Approved Sprinkler Contractor. This is the top level accreditation under the Loss Prevention Certification Board (LPCB) and certificates Vipond Fire Protection to undertake all categories of sprinkler work, without any supervision. We have extensive experience nationwide installing sprinkler systems in all sectors of the commercial/Industrial markets, be it shopping centres/shop units. office buildings, factories, warehouses, museum’s and heritage buildings, to industrial, refineries, power stations and energy from waste Facilities. Vipond also has extensive experience working to FM Global and NFPA standards. The Vipond design team has full 2D and 3D CAD and BIM level 2 capabilities allowing us to seamlessly work with architects and other mechanical disciplines ensuring full and accurate co-ordination with other mechanical and electrical services.